Moving home can be exciting and stressful in equal measure. 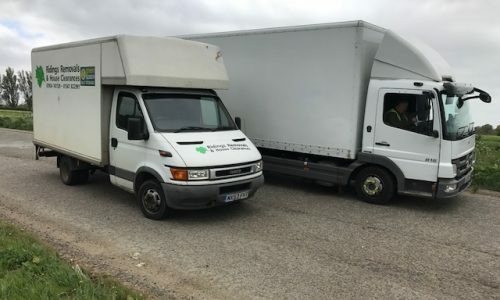 One of the biggest challenges is making sure that all your belongings are cared for and delivered safely to your new home. 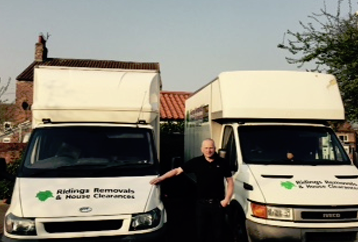 Ridings Removals are experienced home removal and house clearance specialists in Easingwold, North Yorkshire. We work locally and across the UK. It’s our aim to take the stress out of moving. We’re an independent, family-run business and pride ourselves on offering a friendly, personal service. Our experienced, well trained staff have a great sense of humour and rapport with our clients and will go out of their way to accommodate customers’ requests. We are recommended by estate agents and customers alike and are often favourably compared to some of the ‘big name’ removal outfits. We offer competitive rates with all our services and free estimates are available without obligation. 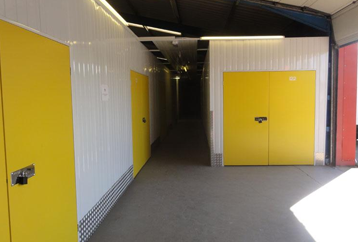 To find out how we can help with your removal, house clearance or storage requirements, give us a call today! 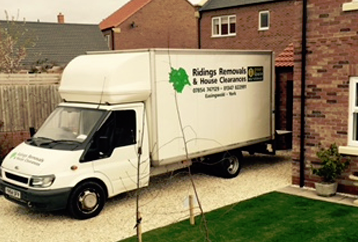 We carry out removals, clearances and storage in Easingwold, Thirsk, Tadcaster and many more surrounding areas, contact us to find out more! Supply of boxes, tape, wrapping paper and bubble wrap etc. Family has used you recently and had a good experience. Graham was brilliant. Friendly, helpful and courteous. Can't really praise them enough, they were working on the hottest day of the year but stayed cheerful throughout. Lovely guys, who are a credit to you.